Home > Blog > Financing Advisory > Business Loans > Working Capital Loan: When Should You Take One Out? It takes capital to get a new business off the ground and then keep the business running smoothly and efficiently. Without sufficient capital and strong cash flow, even profitable businesses can hit serious financial snags and end up in bankruptcy. There are several different types of business loans, including lines of credit, term loans, commercial mortgages and equipment leases. One of the most common types of business loans is a working capital loan. These are used to finance a company’s everyday operations, such as payroll, rent, utilities, office expenses and inventory. Working capital loans are not used to buy long-term assets like plant and equipment. Business loans can be very expensive, especially if the business does not have sufficient collateral to pledge against the loan. Minimum loan amounts and restrictive loan terms and covenants can add to the cost of the loan and limit the owner’s flexibility in making business decisions. If the business cannot obtain a working capital loan from a bank, it may have to seek a loan from an alternative financing source, which can be even more expensive. Also, it’s critical to factor the cost of a working capital loan into your ROI analysis. If you don’t, you have no way of knowing if taking out the loan is smart financial decision or not. The proper analysis is needed to make sure that the cost of financing is more than offset by the return that will be realized on the borrowed funds. Failure to plan adequately before obtaining a working capital loan can lead to a number of negative impacts for your business. These include not only excessive costs and uncertainty about the ROI realized by taking out the loan, but also the fact that the loan can end up being a distraction for management that keeps them from staying focused on the important tasks at hand. One way to make the right decision about taking out a working capital loan is to working with a part-time CFO or project CFO from a CFO services provider. This high-level financial professional will have worked with many other entrepreneurs and middle-market CEOs and CFOs to help them make smart financing decisions. Can perform the kind of in-depth analysis required to blend the loan cost into the anticipated ROI, thus insuring that the financing costs don’t outweigh the positive impact on the business. Will understand the nuances of the loan agreement and be able to protect your business against any potential contractual risk. Can minimize potential distractions to management that can come from being preoccupied with handling the details of managing a working capital loan. In addition, your CFO partner will have a network of established contacts in the banking and finance community. This will result in more options for your company when it comes time to choose the right lender to work with. You’ll be better able to manage your financing costs and make sure they’re reasonable. You’ll establish a positive relationship within the banking and finance community, which may help pave the way for more lending opportunities later. You can use the working capital loan to enhance your business — for example, by buying more inventory that will boost revenue and profits even after financing costs are subtracted. You can use the working capital loan to cover advertising, marketing and sales expenses which, while they may not have an immediate impact, can increase the strategic value of the business over time. To meet their ongoing capital needs, business owners and entrepreneurs often turn to banks for a business loan, including a working capital loan. These are used to finance a company’s everyday operations, such as payroll, rent, utilities, office expenses and inventory. Despite the need to obtain working capital, mid-sized firms sometimes face challenges when it comes to obtaining a working capital loan. 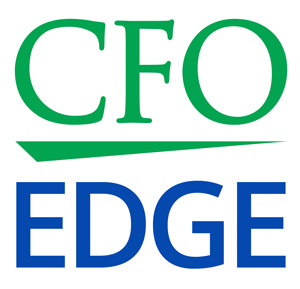 Hiring a project CFO or part-time CFO can help you make the right decisions about taking out a working capital loan.